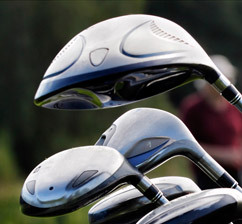 On joining The Golf Club Great Britain you will be able to obtain an Internationally recognised golf handicap. The handicap will be updated every time you play, all you have to do is email (as pdf or jpg file attachment) post or fax your signed card and we will update your golf handicap. To obtain your initial handicap simply submit three cards, signed by your fellow player. A membership card showing your handicap will be sent to you. This is replaced annually on your renewal date but we do ask for a minium of 3 cards every year to maintain your correct handicap. 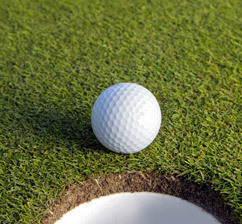 You will be able to check your golf handicap and your handicap history on our website as your efforts are recorded. As part of our service we will provide free handicap advice. When you have submitted your first three cards, we take the 'average' of these cards to establish your initial handicap. This is calculated by taking the difference of the Gross score and the SSS off the yellow tees for each card. For example, three scores of 88, 90 and 95 on a course with a SSS of 72 will result in an initial handicap of (16+18+23) 57 divided by 3 = 19. Therefore giving you a playing handicap of 19. As stipulated by CONGU, GROSS scores are adjusted to a maximum of double bogey, e.g. on a par 4 hole, if you gross 7, we will manually adjust your score to 6. We recommend you adjust GROSS scores only (stableford points need no adjustment) before submitting your cards, but don't worry, we will always check scores have been adjusted before entering them. Please note: When calculating initial handicaps, we do NOT adjust scores down, this is only for ongoing handicapping (for silver or gold memberships only). How do golf handicaps change? The Golf Club Great Britain calculates handicaps using the same sytem as any private golf club for both mens and ladies handicaps. Maximum mens handicap is 28 and 36 for ladies. Calculate a 'net differential' for each player. This is the difference between the player's net score (gross score less current handicap) and the SSS. Use each player's net differential to adjust their handicap according to the following formula. What is a 'Buffer Zone'? 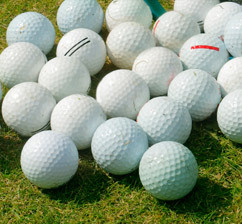 A player's 'Buffer Zone' is a range of scores returned in competitions where the player's handicap will not be changed. The buffer zone is different depending upon the player's handicap category.A player returns a score within his Buffer Zone when his Nett Differential is within specified limits.